Chanteur Rockabilly US originaire du Tennessee. 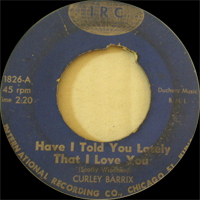 Billy "Curley" Barrix avant de chanter de la Country Music, a enregistré un single Rockabilly chez Chess Records en 1957. Il fut Disc-Jockey à Chicago (Illinois) en 1971, puis revient à Nashville pour enregistrer à nouveau. Billy a travaillé aussi chez Chaparral, Dunwich et Brave Records. US Rockabilly singer originating in Tennessee. 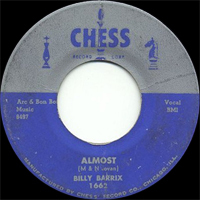 Billy " Curley " Barrix before singing of Country Music, recorded a single Rockabilly at Chess Records in 1957. 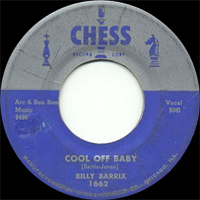 He was Disc-Jockey in Chicago (Illinois) in 1971, then returns to Nashville to record again. Billy also worked at Chaparral, Dunwich and Brave Records.